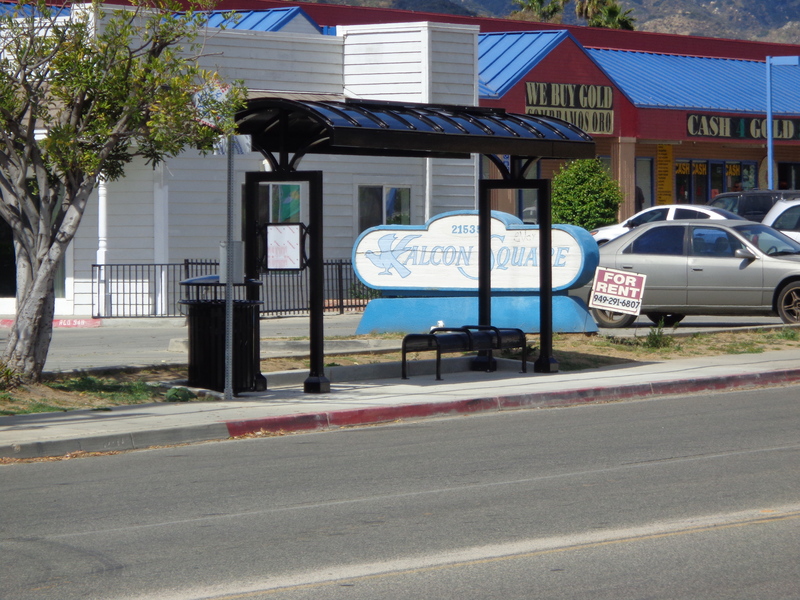 Wildomar has become the recipient of two new bus shelters in town. One is located in front of the Wildomar Library. The next one is at Central and Palomar a stop for the clockwise southbound Route 8 bus. 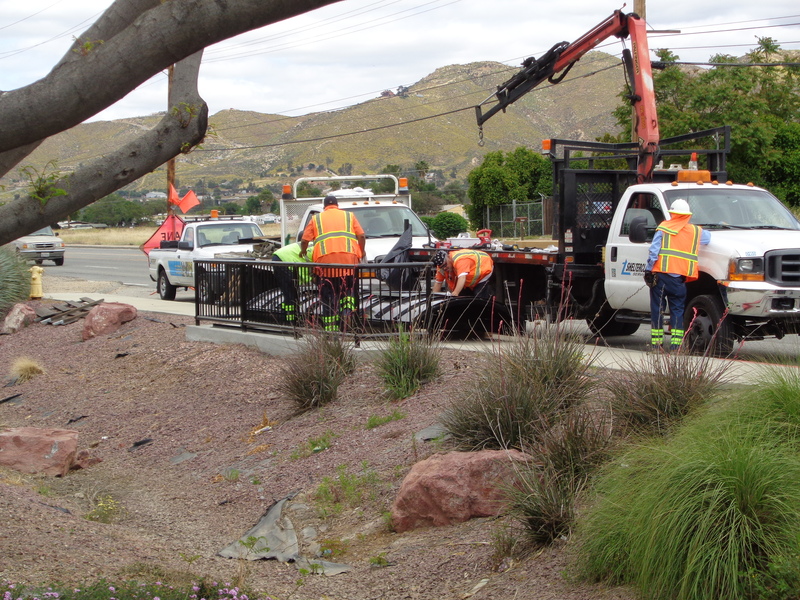 That make 5 covered bus stops (out of approximately 67 stops) in Wildomar all on the southbound side of road. My bad. 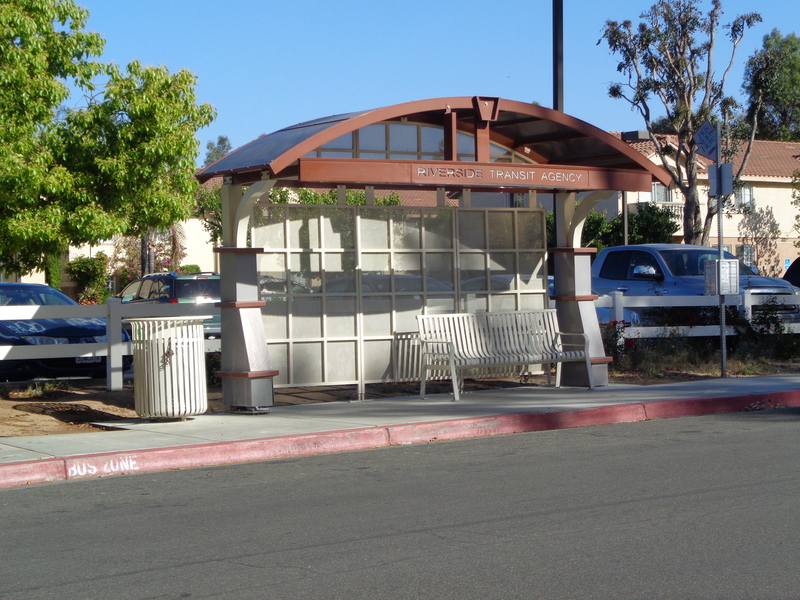 The last time I went by the Wildomar Assisted Living Facility in August of 2016 they didn’t have a covered bus stop and they now have one in April of 2017. There is also ONE at Inland Valley Hospital, at the south end by the Surgery Center. (Done know many people who would take the bus to have a surgical procedure done. The miracle was dashed by the announcement there would be a ribbon cutting for the new stop at the library. The cost of this dog and pony show would be better spent on additional stops across from 4 of the newest covered stops, much like they have in Lake Elsinore at Malaga. While chasing down information about bus stops, which was difficult because no one wants to talk, it became apparent the biggest delay in getting new covered bus stops has to do with the American Disabilities Act which requires any upgrades to existing bus stops be made ADA compliant. That means curbs and wheelchair accessibility, can’t put a covered stop in the dirt. This entry was posted in Daily Ruminations, Future City of Wildomar and tagged RTA, Wildomar on April 14, 2017 by Kenny.